Last year, TED made a lot of noise when it announced that it was awarding its TED Prize to something called “The City 2.0”. In case you don’t know what “The City 2.0” is, it’s an idea. At least that’s what TED was telling us. They were awarding the prize to an “idea” instead of a person, sort of like when Time Magazine goes all crazy and awards the Person of the Year to a machine. Well, TED isn’t about machines, but it is all about ideas, so it gave its award to an idea, which was really like giving an award to itself, which as you’ll see in a bit is actually a more accurate statement than you’d think. Did I mention that this idea had a website? It does. One that TED designed and built themselves. Well, half-built. See, it wasn’t exactly ready when the TED Prize was announced, which is funny because TED both built the site and gave the award. The humdinger behind the original The City 2.0 ¹ was that people could use the site to start grass roots campaigns to change their neighborhoods and cities. The idea was that “the reach of the cloud” and “the power of the crowd” would join forces and, from that totally awesome buzzword high-five, ten winners would emerge. Wait, ten winners? Didn’t an idea already win the prize? Turns out that even though an idea can have a website, it can’t accept $100,000. Well, it could if TED, which came up with the idea for The City 2.0, had awarded the money to itself, but that would just look tacky. So instead they split up the $100,000 with the intent of awarding it to those ten winners who would bubble up from the cloudy crowd.² I’m not sure how the cloudy crowd picks the best ideas, but at the time I guessed it would have something to do with voting, as most cloudy crowds do. This is the awkwardly placed paragraph where I say that I reached out to The City 2.0 for comment because I felt like I had to and because I actually did. They haven’t responded, not even a “no comment” or anything. With a whole $10,000 on the line, I’m sure TED was expecting the The City 2.0 to be a hotbed of entrepreneurial activity. It wasn’t. Two months after the prize was awarded, I checked back. The site was finished, but it didn’t seem like anybody else knew that. There were just 124 ideas, most of which only had one or two votes in favor of them. 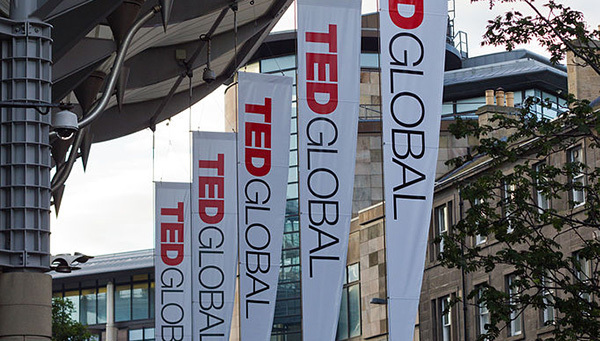 Less than two months remained until TED Global, the event where the ten winners were supposed to be announced. Eglin Pkwy in Ft Walton is a 7 lane high speed road. In order to foster development / creativity, this could be reduced to a 2 lane road. Through traffic should be redirected to a high speed location. In order for this to become a reality local residents need to be made aware of The Wish. Umm, guys, you realize anybody can read this, right? You know how you feel when you see someone do something embarrassing and you feel embarrassed for them? That’s how I felt for The City 2.0. Well, the TED people aren’t idiots. They know a failed venture when they see one, so they quietly pulled the plug on “The City 2.0” and rolled out… “The City 2.0”.⁴ The, um, 2.0 version of the site scrapped the map and didn’t show people’s submissions, because, like, some people’s ideas are totally lame and we don’t want that messing up our snazzy website we dropped a lot of coin on. In it’s place were “stories” that were selected by TED along with random urbanist links. That’s, like, totally better. Did you know that October 13 was TEDxCity2.0 Day? Neither did I, and one of the supposed TEDxCity2.0 ⁵ events was in Boston, just two miles from where I live. It had people talking about leadership and Mars and poetry and financial markets and communication and aerodynamics and mind reading but it didn’t have anyone talking about cities. Huh. To date, TED has awarded eight of its ten prizes, five of which were given to projects that had already existed before The City 2.0 got all spendy. That’s not to say the winners don’t deserve it—they’re great projects—but it’s not exactly the crowdsourced, spontaneous wonderland what TED led us to believe The City 2.0 would be about. Two more are supposed to be awarded in November and December. It’s December already. One of the things that upsets me about The City 2.0 isn’t that it was a half-baked idea with a sucky website that dozens of other organizations were already doing way better. Or that it was a transparent marketing ploy meant to draw more attention to TED than to the issue. Or that there was absolutely zero transparency about how winners were going to be selected despite pandering to the “crowd” and its infinite wisdom. No, what gets me is that so many people bought into it. ArchDaily ran such a breathless piece that I almost mistook it for a press release.⁶ The Atlantic Cities ran a laudatory article. Inhabitat, too. I shouldn’t be surprised by all of this. In fact, I’m not. I know TED is a marketing machine and that its only real interest is making sure that the TED name is everywhere. I mean, what else can you expect from a conference that’s feels the need to address its own elitism? But that doesn’t make me any less angry. Angry that TED exploited the rampant churnalism⁸ that’s so prevalent on the internet. Angry that so many people bought into TED’s hokey and transparently vain message. And angry that TED would so arrogantly presume to fix something as complex as the city without giving it any more thought than would a few fresh-faced marketing graduates. Photo by Stefan Schäfer, Lich.